From Jingu-Marutamachi Station (Keihan Line): A five-minute walk northward along Kawabata-dori. »Take JR Nara Line from Kyoto Station and change at Tofukuji Station, then take Keihan railway to Jingu-Marutamachi Station. 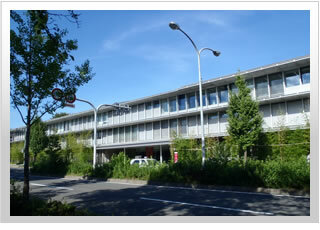 and get off at Kojinbashi./ A short walk across the road . and get off at Kojinguchi. / A four-minute walk eastward across Kamogawa river. Take City Bus [#3], [#4] or [#17] and get off at Kojinguchi. / A five-minute walk northward. Take City Bus [#204] or [#202] and get off at Marutamachi Keihan-mae. / A five-minute walk northward.